A playful stay and a pocket-friendly gateway in Chandigarh. Hotel New DK Palace makes your stay in Chandigarh a noble experience. Tastefully designed with fine wooden finishing and simple lighting, every room comes with simple and light-coloured wall decor. The rooms are clean, compact and equipped with amenities like a geyser with a beautiful seating place with modern and comfortable sofas. Guests can avail the facility of free WiFi, card payment option and CCTV cameras. Various well-known restaurants are near the hotel. 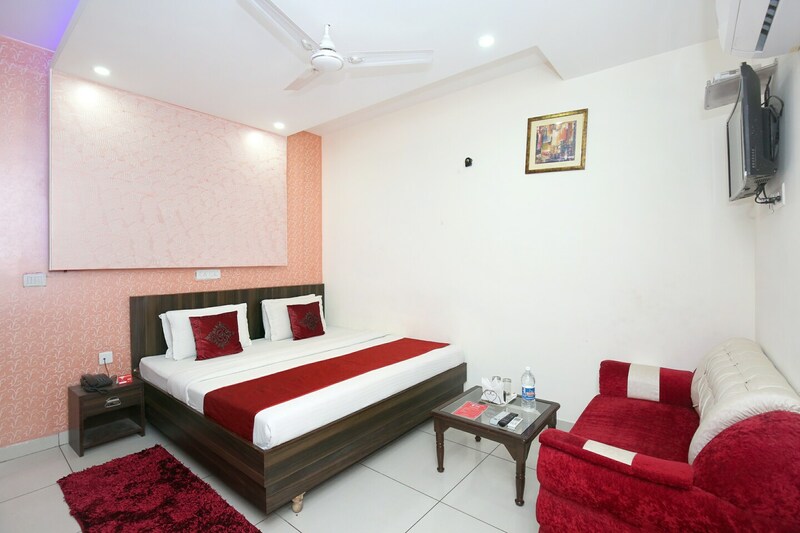 Tourist spots like Garden Of Fragrance, International Dolls Museum, and Shanti Kunj Park are in close proximity of the hotel.